class="post-template-default single single-post postid-340511 single-format-standard group-blog masthead-fixed full-width singular wpb-js-composer js-comp-ver-5.7 vc_responsive"
LINCOLN, NEB.– In keeping with its mission to support the future of Nebraska agriculture, the Nebraska Farm Bureau Foundation has awarded scholarships to seven participants of the Nebraska LEAD program. “These agriculture professionals contribute daily to the good life in Nebraska,” said Megahn Schafer, executive director of the Nebraska Farm Bureau Foundation. 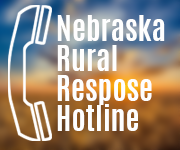 “We’re very proud to support them as they invest time and energy to become even better equipped to serve their communities through the Nebraska LEAD program,” she continued. The LEAD Scholarship awards agriculture stakeholders that participate in the Nebraska LEAD program. The LEAD program improves leadership skills and abilities of Nebraska’s future agricultural leaders through exposure to diverse topics, issues, concerns, points of view, and innovative ideas. The winners of the LEAD Scholarship are current Farm Bureau members that commit to serving in a leadership role with Farm Bureau upon completion of the program. The seven winners are Shane Greving, Merrick County; Haley Miles, Brown County; Paula Peterson, Lancaster County; MerleAnn Raichart, Dundy County; Rebecca Schwarz, Phelps-Gosper County; Scott Sorensen, Hall County; Scott Speck, Dawson County.